Medical residency training is required to practice as a physician in the United States, even for physicians who are fully licensed to practice medicine in other countries. While it is possible to obtain a medical license to practice medicine in the US without completing a US medical residency, it is much more difficult, and in some cases impossible, to become board certified by the American Board of Specialties without US residency training. Being board ineligible significantly limits the practice opportunities available to you, and impacts your ability to get hospital privileges for many potential employers. Even if you practiced medicine for many years in another country, it is a requirement of most medical facilities to complete a US residency program before being granted privileges to practice there. How Long Does Medical Residency Training Last? Do Residents Get Paid, and If So, How Much? During residency training, residents are usually paid about $40,000 to $50,000 per year to help pay the bills. They are paid a minimal salary because medical residents are not fully licensed to practice medicine, and therefore residents do not independently bring in any revenue for a medical facility. Instead, residents are physicians in training, working only under the supervision of an attending physician, who is ultimately responsible for the patients being treated by medical residents. When Is Medical Residency Completed? Medical residency training begins after graduating from an accredited medical school with a medical degree (MD, DO, or a foreign medical degree). It lasts usually three to five years, depending on the specialty. What Types of Medical Residency Programs Are Available? If you graduated with an MD degree from an allopathic medical school, you should attend an allopathic medical residency. If you graduated with a DO degree from an osteopathic medical school, most likely you will want to attend an osteopathic residency, but you may also attend an allopathic residency if you do a dually accredited year of internship training. In addition to determining whether you’re going to attend an osteopathic or allopathic medical residency program, you must determine the medical specialty you wish to practice, which will also help you to determine where you should apply for residency. 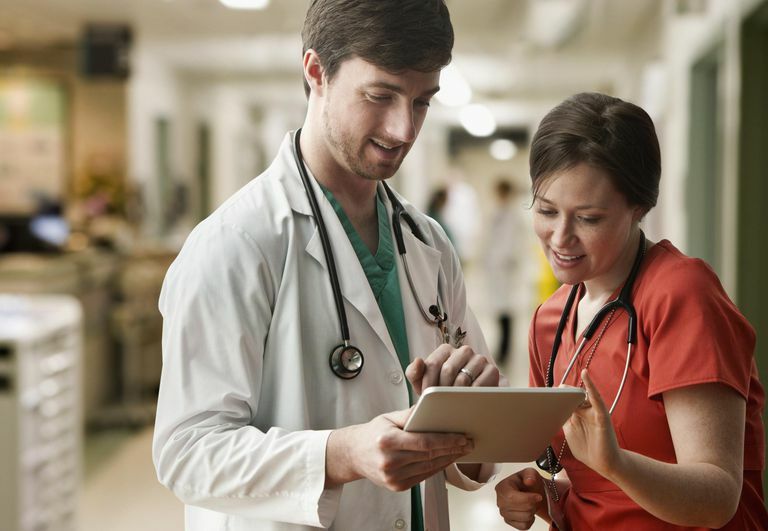 A comprehensive online database of all of the accredited residency training programs by specialty and location is provided by the American Medical Association. Lastly, you can choose between a university-affiliated residency program or a community-based residency program. Some prestigious medical facilities in metropolitan areas prefer to hire physicians who have graduated from university-based residencies only, so you may want to keep that in mind if your career goal is to practice at a renowned facility or in an upscale area where competition for practice opportunities is fierce. How Are Medical Students Matched with Medical Residency Programs? You should start by researching the various programs through the AMA site, which provides links to each residency with information about the number of slots available, when to apply and interview, and compensation for each year of residency. Then you would interview with several programs that are of interest to you, and go through a selection process. The medical residency interview and selection process allow each applicant to rank their top choices of medical residency programs, while the programs, in turn, rank their top applicants. Then, all of the rankings and results are computed, and matches are made to most effectively accommodate the top choices on both sides. Then the process culminates on “match day” – when the results are revealed, and the new residents find out where they “matched” and where they will attend residency training for the next few years.